This is one of the biggest initiatives of its kind in Veneto. 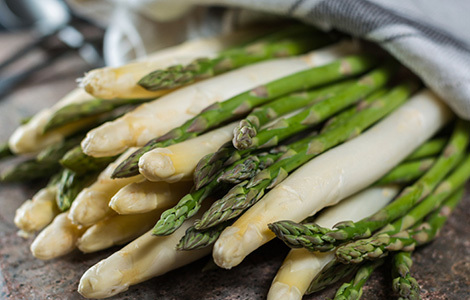 It features the original pairing of white asparagus dishes and sporting events, which is why it’s also known as the Asparagus and Sport Festival. It always attracts huge crowds of tourists with its local recipes, live shows and thrilling seafront displays of sporting prowess. 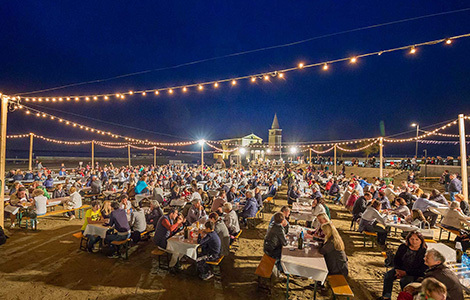 This event celebrates the outstanding produce grown in the Portogruaro countryside, including maize, wheat, beets and superb grapes, which are used to make exceptional wine. 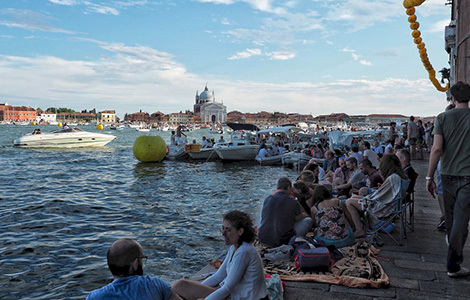 This is one of the most popular festivals among young people in the Province of Venice, thanks to the big part played by local associations and the food and wine stands in the square. 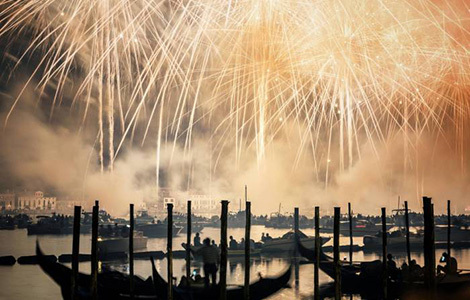 Thousands of decorated boats cross the Giudecca Canal and the San Marco Basin during this event, which celebrates the Redeemer. 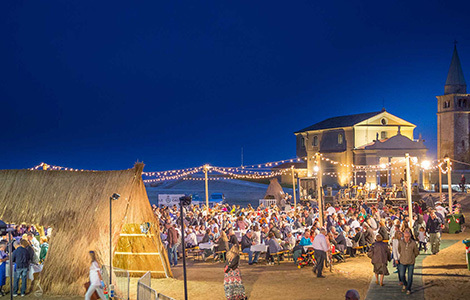 Over the years, the programme has always remained the same: dinner with local food, traditional dancing and a spectacular fireworks display. 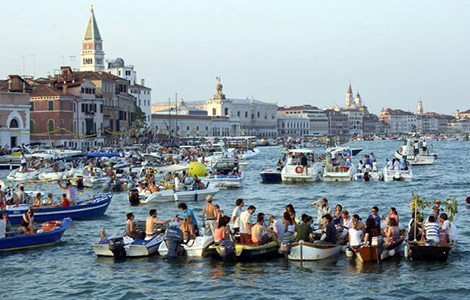 No list of festivals in Veneto is complete without a mention of the historical regatta in the region’s most iconic city. 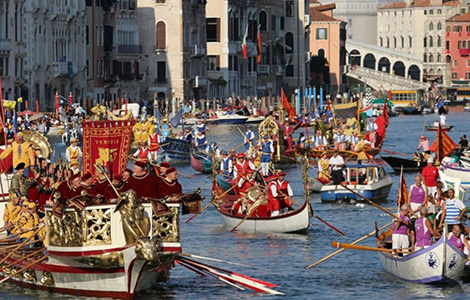 It is a leading event in the sphere of traditional Veneto rowing, paying tribute to it and helping to keep memories of it alive. From the blessing of the participants and their boats to the presentation of the numerous crews, every single moment is packed with pathos. 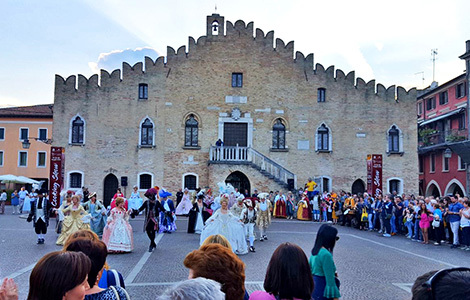 The famous Veneto beach resort is famous not only for its stunning coastline but also for its many local Venetian festivals. It celebrates the month of the harvest with two days of fun and unmissable events. 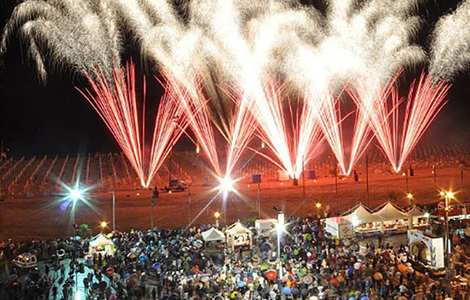 Thousands of people head to Bibione to enjoy tasting sessions, live music and the breathtaking fireworks display that brings the curtain down on Septemberfest. Fishermen cook their delicious catches on the sand near the Sanctuary of the Madonna dell’Angelo. Stands and kiosks are set up on Sacheta beach, which fills up with lovers of good food and wholesome fun. 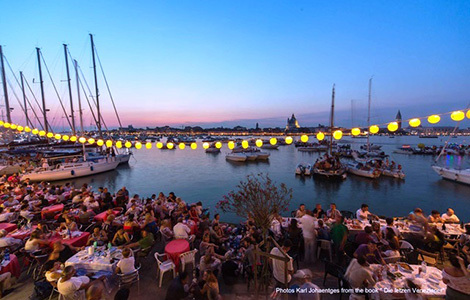 The main attractions at the event include a special regatta and a food and wine competition.